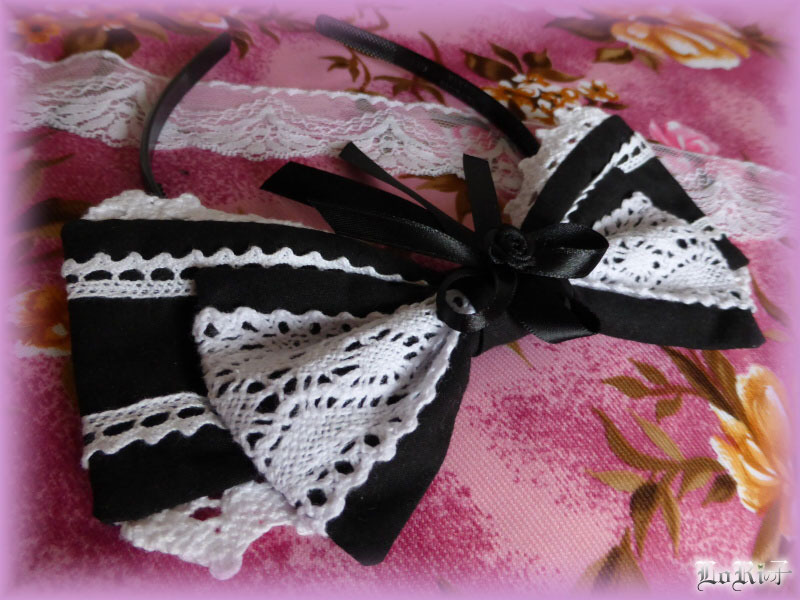 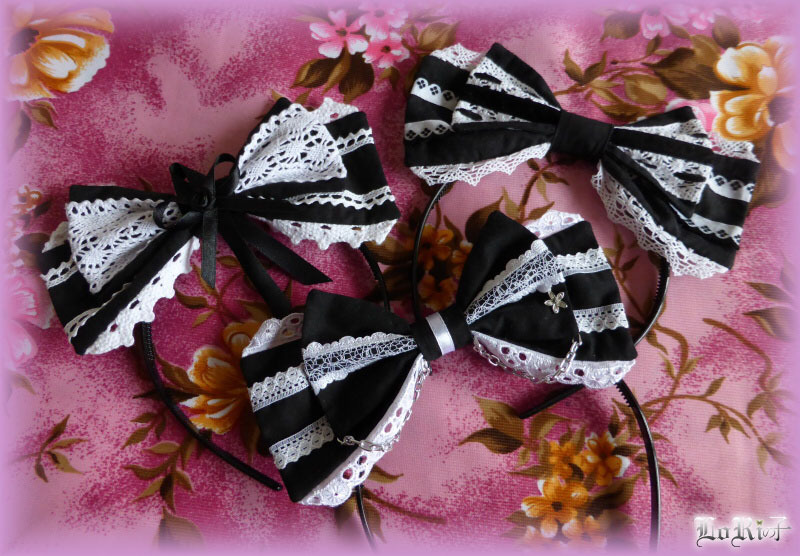 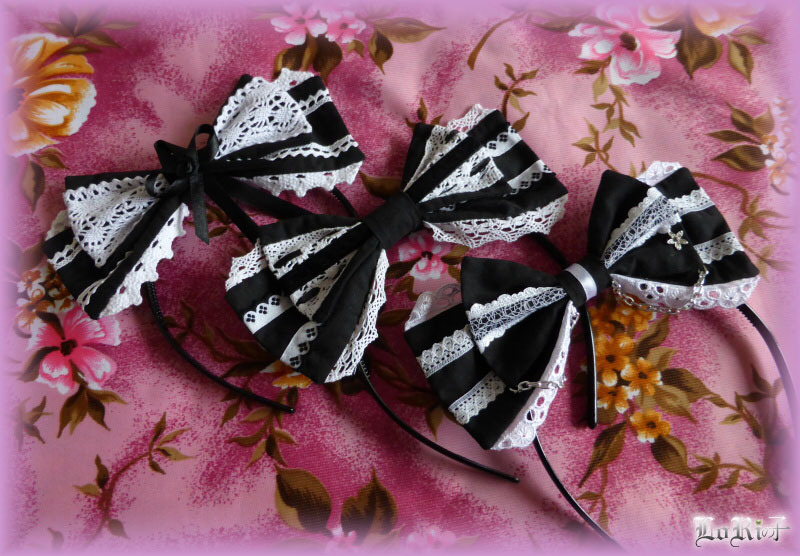 The series of the headbands in oldschool classic conbination of black and white color. 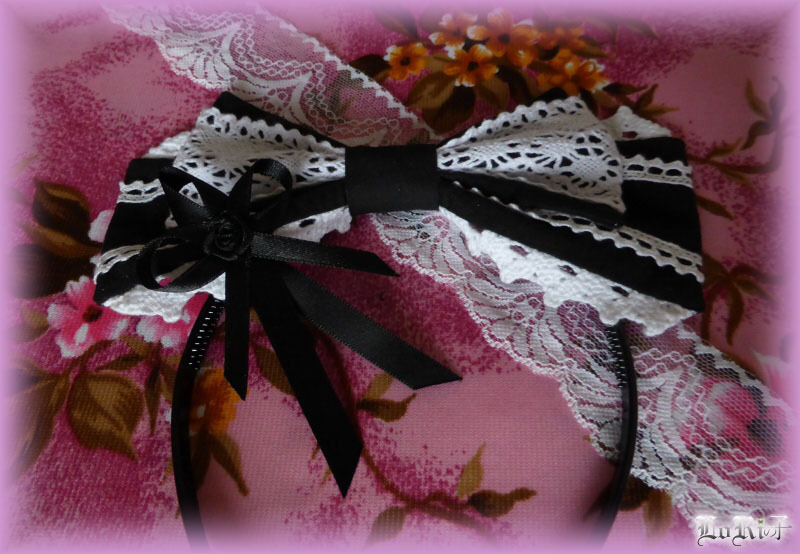 For decoration there are used various types of laces and ribbons, mostly from the cotton material, which is very soft on touch. 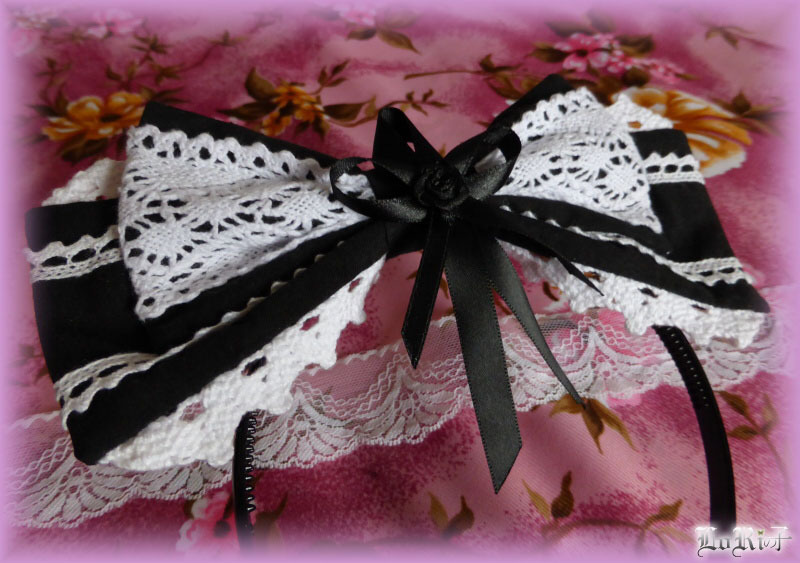 The first one is also ornamented with detachable flower decoration from satin ribbons.